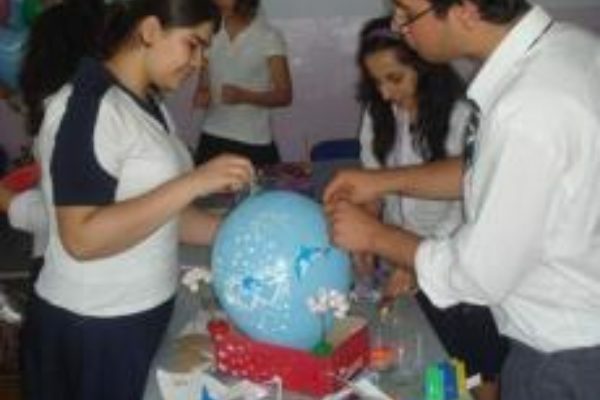 Integrate global awareness throughout my curriculum. What are your goals for your students? Through this project, I want to increase my students' global awareness of other students, communities, schools, and families by sharing different areas of our daily lives using different forms of multimedia. My students will gain knowledge of different cultures, communities, and schools around the world by applying their knowledge of technology and using 21st century skills to communicate with other students. What subject terms, principles and facts related to the curriculum will students learn through this project? Students will learn differences and similarities between cultures, how to locate different areas on a map/globe, and learn to how collaborate with people who are different than they are (ethnicity, race, language, country) in turn practicing peace, collaboration, communication, and tolerance. 4.03 Share written and oral products in a variety of ways (e.g., author's chair, book making, publications, discussions, presentations). 4.09 Produce work that follows the conventions of particular genres (e.g., personal narrative, short report, friendly letter, directions and instructions). 4.10 Explore technology as a tool to create a written product. 2.01 Distinguish and compare economic and social roles of children and adults in the local community to selected communities around the world. 2.02 Analyze similarities and differences among families in different times and in different places. 2.03 Describe similarities and differences among communities in different times and in different places. 4.02 Use appropriate source maps to locate communities. 4.03 Use geographic terminology to describe and explain variations in the physical environment as communities. 6.03 Identify the impact of technological change on communities around the world. 7.01 Identify the deeds of local and global leaders. 4.01 Collect, organize, analyze, and display data (including circle graphs and tables) to solve problems. Reading 7 Integrate and evaluate content presented in diverse media and formats, including visually and quantitatively, as well as in words. Writing 3 Write narratives to develop real or imagined experiences or events using effective technique, well-chosen details, and well-structured event sequences. Writing 6 Use technology, including the Internet, to produce and publish writing and to interact and collaborate with others. Writing 7 Conduct short as well as more sustained research projects based on focused questions, demonstrating understanding of the subject under investigation. Writing 8 Gather relevant information from multiple print and digital sources, assess the credibility and accuracy of each source, and integrate the information while avoiding plagiarism. Speaking and Listening 1 Prepare for and participate effectively in a range of conversations and collaborations with diverse partners, building on others’ ideas and expressing their own clearly and persuasively. Speaking and Listening 2 Integrate and evaluate information presented in diverse media and formats, including visually, quantitatively, and orally. Speaking and Listening 5 Make strategic use of digital media and visual displays of data to express information and enhance understanding of presentations. Math Grade 3 Measurement and Data Represent and interpret data. 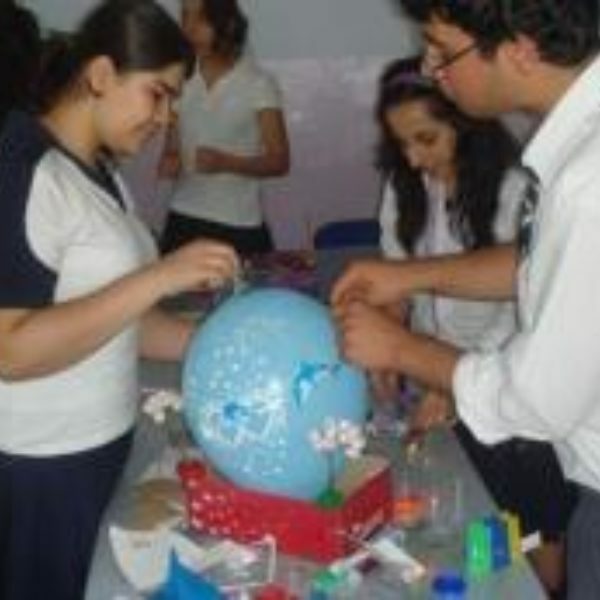 September: Introduction to the project using iEARN videos, blogs, and forums. As a class, we will create an introduction to our city, state, school, and classroom using the project's blog to post our information. We will discuss as a class what technology to use when introducing ourselves and how we want to do it. October/November: Students will create their first photo diary. They will share the 3 meals that they ate on a specific day. They will document their meals using either photos or pictures along with a description of the food applying their knowledge of adding sensory details in their writing. In November, a global forum will take place for this project in which students will create a log of a day in their life. They will all record what they do on the same day and compare their lives. They will publish a step by step documentation of that day. In the forum, they can ask and answer questions. March: Students will share their thoughts on standardized testing on the forum. They will explain what "EOGs" (End of Grade) tests are and give their opinion on them. Do you agree with them? Should they determine whether you go to the next grade? Are they fair? Students can then ask for other opinions from students around the world. Do they have the same type of thing? How do they move to the next level at school? Together, they could come up with another way to assess students without using standardized testing. April: Diary Photo Log (Spring): Students can take the time to do another log on a day in their life, but this time in the spring. They can use their knowledge from math to create circle graphs showing how much time they spend playing, sleeping, going to school, eating, and doing homework during a day. They could ask other students to share a similar graph so they could compare data. May: Create a photo story to share with another classroom(s) about our year in 3rd grade. I would love to take this time to Skype with a classroom we have communicating with if that is possible. It would be a great end to our year and motivate students to work hard throughout the year. June: This is the last month of school and a great time to share what they will miss most about 3rd grade and share goals about next year. They could discuss this on the forum or blog and ask other students what their goals are. How many times a week will you be involved in the project? I will be involved once or twice a month to model or give instructions on what the topic of the month will be and what piece of technology we will be using to share that information. I will share blogs, forums, albums, and videos from iEARN to introduce this project to my students. I will also use a scavenger hunt to help students become more familiar with the iEARN website. This ties in to both our language arts and social studies curriculum. It will be helping students to write/ read different genres of texts, use technology, analyze differences and similarities within different communities, and 21st century skills in general. I will use videos, blogs, forums, and the internet to get them interested. I will show them a school from another country (third world or a country that is very different than ours) and we can compare and contrast. Do they have computers? A floor? Desks? How do they learn? What do they use? Do they have a lunch room? etc. I believe that there are two different types of students in my classroom. Some students have come to our school from different countries, speaking a different language, and not understanding our culture. These students understand that Newell Elementary is not the only school in the world. On the other hand, some students have never been out of the city of Charlotte and don't understand that there are other people around the world. Third graders are still learning to take on other people's perspectives which can be very hard for them. I think this project will be beneficial for both groups of students. Students will be researching heroes in our community and creating a writing piece that explains who the hero is and why they are important during the months of December, January, and February. They will then share this with other students a blog or wiki. They will also research different ways to assess other than using standardized tests during the month of March. Students will share ideas using either the iEARN forum, blogs, or wikis. Students will research topics in small groups, but post things individually when sharing photo diaries/personal things (culture, family). Students will be responsible for their own learning. A designated person in each small group will be the "go to" person. If they cannot answer a question, then they can come ask me. We will be using blogs, wikis, and the iEARN forum to communicate with other students 1-3 times a month. I will use a KWL chart to assess their knowledge on each topic. This will help me to guide my instruction and create small groups accordingly. in the implementation of the project I will assess writing pieces using a rubric and their "Global Awareness Notebook" to assess communication online. I will also use small group and whole group discussions to informally assess what they are learning and discussing with their online partners. in conclusion of the project This is an ongoing project. This is an ongoing project that will include different topics each month, but we will end online communication in June. Students will create a photo story documenting our year in 3rd grade and share it with our online partners. They will share and discuss their goals for next year during the month of June and I hope to be able to Skype with one of our global partners to wrap up this year long project. Research skills: Internet, Library, experts/community heroes/leaders? *This project may be adapted during the year to better fit our schedule or the schedule/needs of our partners.